(l to r): James Ehnes, Amy Schwartz Moretti, Richard O’Neill, and Robert deMaine. Photo by Jerry Davis. 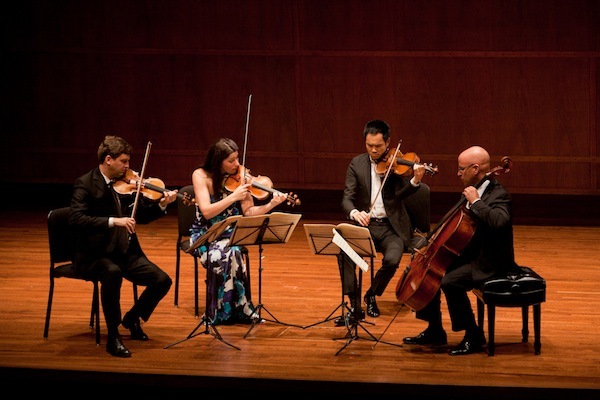 For classical music lovers, summer has genuinely arrived when the top floor of Benaroya Hall is thrumming to the beats of Schubert, Shostakovich and Ravel at the Seattle Chamber Music Festival, which opens on July 7 and continues for four weeks.